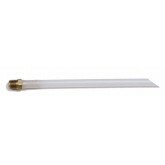 ¼ “Polypropylene tube, 12” overall length with inlet cut to 45 degree angle, includes brass ¼ MNPT fitting. ¼ “Polypropylene tube, 20” overall length with inlet cut to 45 degree angle, includes brass ¼ MNPT fitting. ¼ “Polypropylene tube, 26” overall length with inlet cut to 45 degree angle, includes brass ¼ MNPT fitting. ¼ “Polypropylene tube, 36” overall length with inlet cut to 45 degree angle, includes brass ¼ MNPT fitting. ¼ “Polypropylene tube, 48” overall length with inlet cut to 45 degree angle, includes brass ¼ MNPT fitting. ¼ “Polypropylene tube, 52” overall length with inlet cut to 45 degree angle, includes brass ¼ MNPT fitting. 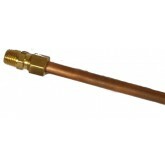 ¼ “K” hard copper dip tube, 12” overall length with inlet, includes brass ¼ MNPT fitting. 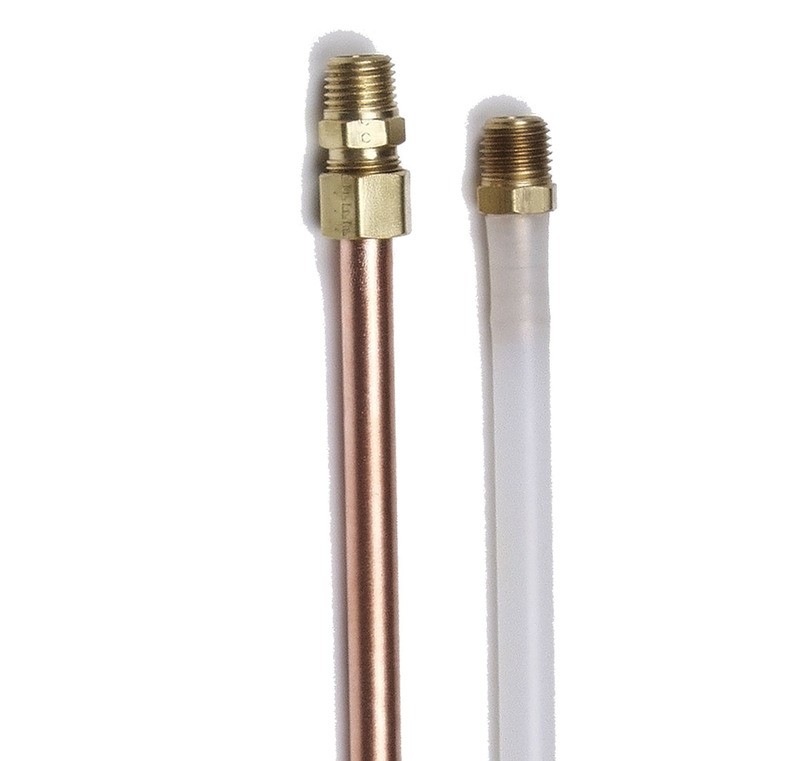 ¼ “K” hard copper dip tube, 26” overall length with inlet, includes brass ¼ MNPT fitting. ¼ “K” hard copper dip tube, 36” overall length with inlet, includes brass ¼ MNPT fitting. ¼ “K” hard copper dip tube, 48” overall length with inlet, includes brass ¼ MNPT fitting. ¼ “K” hard copper dip tube, 52” overall length with inlet, includes brass ¼ MNPT fitting.